Artist and teacher Paulette Dubayle Barker passed away peacefully in the night on July 27, 2018. “Many of you will remember Paulette as she played an important role in KZNSA, Alliance Francaise and as an. RIP,” says arts curator Carol Brown. Paulette Barker was an artist, a painter, a creative spirit, a counsellor, a leader and a teacher who sought to inspire others to discover their inner wisdom and creative spirit by using the tools she had found on her own journey through life. This journey had been made up of many parts, with wisdom gathered from many people along the way, and specific skills gleaned from a number of teachers - some formal, and many more informal. There were always been several threads in Paulette's life. As a young girl in France she took on the mantle of a girl guide leader who would take smaller children on camps where she would teach them the usual range of songs and games but through this, she would seek to build self-belief in the children. When she found herself as a teenager in the Nazi-occupied region of Alsace, her formal schooling was interrupted. Despite previously being a high-achiever in her class, she - and all the children in her year - were given a standard-issue school-leaving certificate that would entitle her to pursue studies of some sort. Her parents' choice was an advanced secretarial course that could secure her a job, and an income. She succeeded in the training, scoring very high marks that allowed her to work for one of the top law firms in her home town of Mulhouse as a legal secretary. Although the war was over, it left the young girl with deeply emotional and traumatic experiences to deal with. Some of this laid the basis for her deep commitment to helping others. After a period as an au pair in London she found herself in Paris in 1952 where she worked as an administrator in the pharmacy at Paris's famous American Hospital. It was there she met her future husband, a surgeon from South Africa who eventually persuaded her to travel to the other side of the world to start their family in this country. Paulette's career was woven around the demands of raising five children. 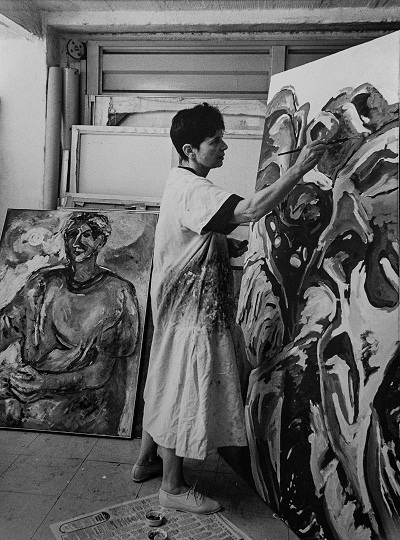 During the children's school years Paulette was steadily building her skills and personal career as a painter, attending a variety of courses, including at Natal University, Durban Technikon and Unisa, and under the guidance of teachers such as Andrew Verster, Dianna Kenton and Penny Siopis. At the same time she was building her reputation with a number of solo and group exhibitions, both in South Africa and abroad. Simultaneously, Paulette began teaching, running classes in conversational French and teaching adults and children to draw. Encouraged by the early results of her art classes she opened her own art school and ran numerous workshops from her home studio. Arising out of this, she was asked to run the annual art workshops for children for the NSA gallery for many years. She has since conducted numerous others, including workshops for the Durban City Year of the Child, Durban City Year of the Aged, workshops for TAFTA and the Cancer Association of SA. Paulette also conducted a number of drawing workshops as part of LifeLine's outreach programmes. The foundation of Paulette's work had always been the idea that teaching people to draw meant teaching people to "see". This is heavily influenced by the work of Betty Edwards, author of Drawing on the Right Side of the Brain as well as experience gained through her work with a child psychologist to develop painting and drawing courses for right-brain children. The key in this is the principle that drawing without fear builds on and develops the uniqueness of each individual. 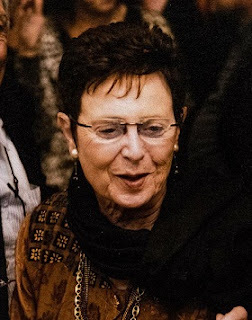 Over the years Paulette developed a unique approach to teaching which culminated in her being able to guide her students through a rich blend of personal enrichment and artistic expression. This meeting of her understanding of psychology and human nature, with her experience and understanding of a variety of artistic mediums, as well as her passionate exploration of the impact of colour, design and form, enabled her to offer her students a rare experience that was unlike any other "art class". It could be said that Paulette's journey was always headed towards this particular style of mentorship, and that her work with prisoners at Westville Prison demonstrated the huge potential of this approach. 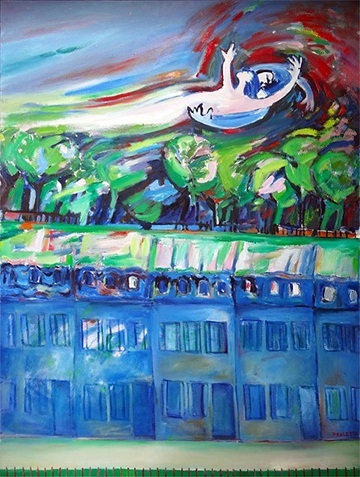 Paulette's work has been exhibited in galleries across South Africa, including at the NSA gallery in Durban, the Karen MacKeron gallery in Johannesburg, also in group exhibitions in galleries in Cape Town and Pretoria, as well as in Paris, at the Cité des Arts, at the Gallerie du Petit Musc, and at the Grand Palais. Her paintings hang in private collections in South Africa, France, Israel, England and America. The Musee de la Ville de Mulhouse acquired three of her works during her exhibition at the Cité des Arts. Paulette had the honour of being one of the first candidates to represent South Africa for a short-term residency at the Cité, and returned for eight consecutive years. The Gallerie du Petit Musc hosted an exhibition of her work on each of these occasions. There will be a small remembrance of her tomorrow (Sunday, July 29, 2018) from 15h00 to 16h00, at the Durban Botanical Gardens conference hall (9A John Zikhali Road, old Sydenham Road).